Encouragement speaker Derrick Hayes gives an AUTISM interview by asking six questions through each letter in the word AUTISM to give readers an insightful perspective from parents, experts, entrepreneurs, and other leaders in the field. 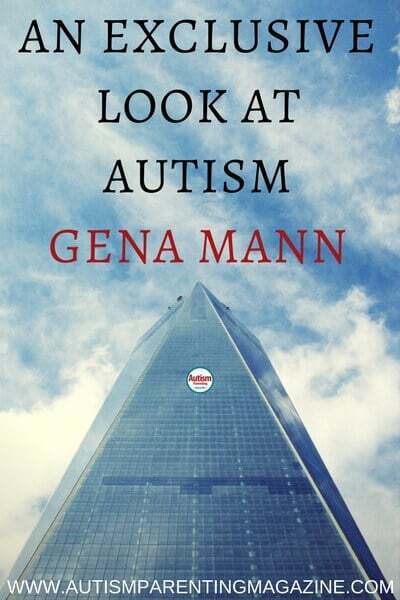 Today’s AUTISM interview is with Gena Mann, who is an autism mom and cofounder of a website called Wolf+ Friends, a shopping and lifestyle site for families with children with special needs. At his 14-month well checkup, my son had no words….my pediatrician said we could let it go for another month, but by his 15-month checkup with no language, she referred me to early intervention. As a first time parent, I had no idea what to look for! When doctors and therapists started asking things like “Does he answer to his name?” I didn’t even know the answer…this was 13 years ago—nobody was really talking about autism like they are now. So many! Most importantly, there is Autism Speaks, they have a “First 100 Days Kit” to help parents of newly diagnosed children. My husband and I were completely on our own when our son was first diagnosed. I is for Inspire – As a parent, when you look at your child or children, what inspires you? My son is just pure love….most people have an agenda or an angle, but my son’s needs and interests are simple and his instincts about people are spot-on. S is for Support – Are there things you struggle with or have struggled with, and what types of support do you still need? Families like ours will always have struggles…the biggest support we have is from our friends who also have children with autism; we can get together and laugh and not feel self-conscious about our kids’ behaviors and quirks. M is for Manage – What keys to success can you leave with parents so that they can better manage their day-to-day efforts? Don’t be too hard on yourself! You can only manage so much. There is always going to be another type of therapy or treatment you want to try….do one thing at a time: life with a child with autism can be so overwhelming, so don’t further overwhelm yourself or your kids. Derrick Hayes is an author, motivational speaker, and paraprofessional with males with autism in the Muscogee County School District in Columbus, Georgia. For contact or booking information visit his sites or call: (706) 615-1662.